SPG Keyless represents a groundbreaking turning point in the traditional hotel experience by fundamentally redefining the way guests arrive and check in to their rooms. 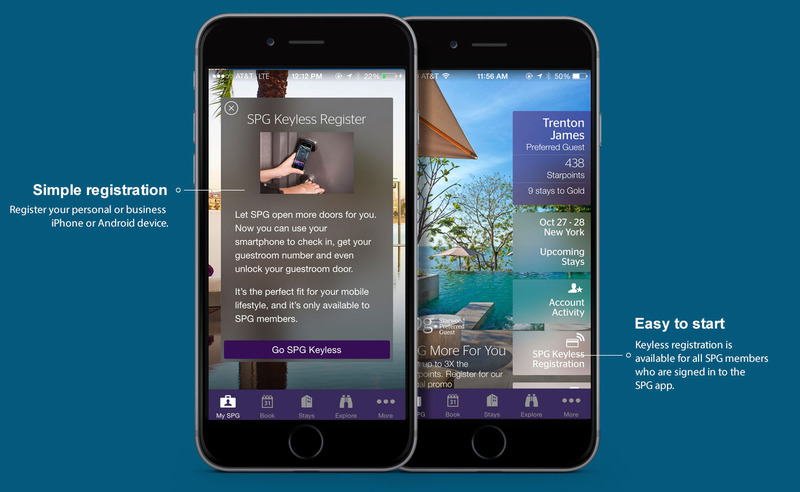 SPG Keyless – powered by the SPG app – enables guests to bypass the front desk, avoid waiting in line and ultimately unlock their stay with a simple tap of their smartphone. SPG Keyless is an evolution of Starwood’s Smart Check-In, another industry-first that debuted at Aloft hotels in 2011, allowing guests to bypass traditional check-in and access their rooms with a RFID-equipped key card. 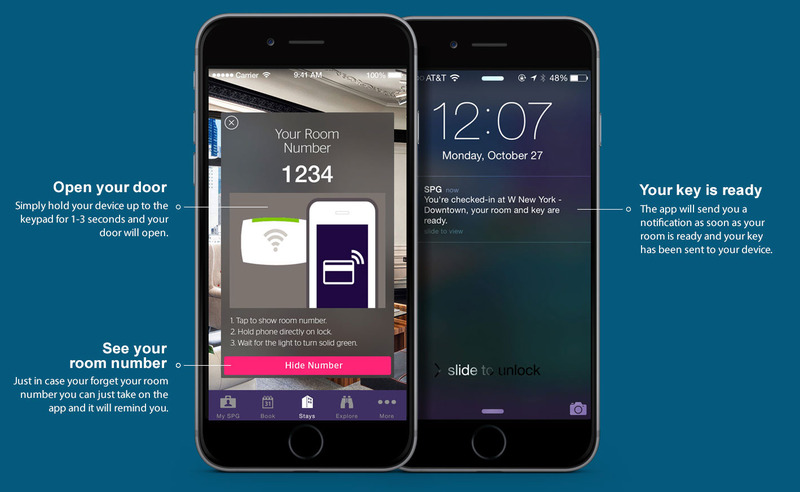 Building upon those early learnings to develop SPG Keyless, Starwood tapped the world’s largest lock manufacturer, Assa Abloy, to create an all-new, Bluetooth-enabled lock as well as keyless software, which are designed to securely recognize and connect with a guest’s mobile device. 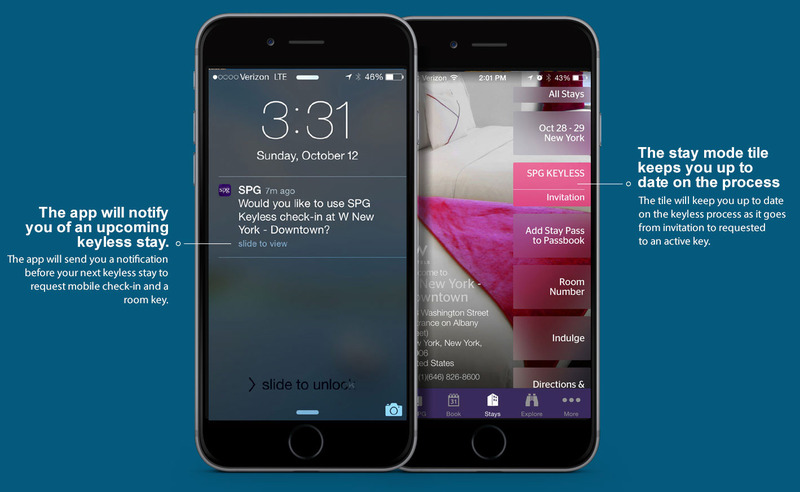 SPG Keyless works with both iPhone and Android devices. 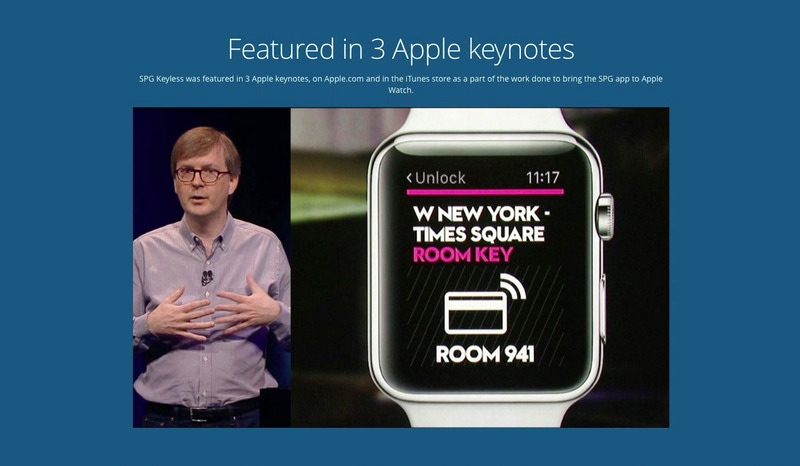 SPG Keyless is also available on the SPG app for Apple Watch which makes it even easier to open your hotel room door with SPG keyless. The SPG app for Apple Watch gives you the option of opening your door from the app’s glance, an actionable notification or from several places within the app.